By 2015 there will be more than 5.6 billion personal devices in use around the world. Personal mobile computing, business systems, e-commerce, smart devices and social media are generating an astounding 2.5 billion gigabytes of data per day. Non-mobile network enabled intelligent devices, often referred to as the Internet of Things (IoT), is poised to explode to over 1 trillion devices by 2015. Rapid innovation and astounding growth in smart devices is driving new business opportunities and enterprise solutions. Many of these new opportunities and solutions are based on deep insight gained through analysis of the vast amount of data being generated. The expansive growth of personal and pervasive computing power continues to drive innovation that is giving rise to a new class of systems and a pivot to a new generation of computing platform. Over the last fifty years, two generations of computing platform have dominated the business and consumer landscape. The first generation was dominated by the monolithic mainframe, while distributed computing and the Internet characterized the second generation. Cloud computing, Big Data/Analytics, the Internet of Things (IoT), mobile computing and even social media are the core disruptive technologies that are now converging at the cross roads of the emergence of a third generation of computing platform. This will require new approaches to enterprise and business integration and interoperability. Industry bodies like The Open Group must help guide customers through the transition by facilitating customer requirements, documenting best practices, establishing integration standards and transforming the current approach to Enterprise Architecture, to adapt to the change in which organizations will build, use and deploy the emerging third generation of computing platform. An enterprise computing platform provides the underlying infrastructure and operating environment necessary to support business interactions. Enterprise systems are often comprised of complex application interactions necessary to support business processes, customer interactions, and partner integration. These interactions coupled with the underlying operating environment define an enterprise systems architecture. The hallmark of successful enterprise systems architecture is a standardized and stable systems platform. This is an underlying operating environment that is stable, supports interoperability, and is based on repeatable patterns. Enterprise platforms have evolved from the monolithic mainframes of the 1960s and 1970s through the advent of the distributed systems in the 1980s. The mainframe-based architecture represented the first true enterprise operating platform, referred to henceforth as the First Platform. The middleware-based distributed systems that followed and ushered in the dawn of the Internet represented the second iteration of platform architecture, referred to as the Second Platform. While the creation of the Internet and the advent of web-based e-commerce are of historical significance, the underlying platform was still predominantly based on distributed architectures and therefore is not recognized as a distinct change in platform architecture. However, Internet-based e-commerce and service-based computing considerably contributed to the evolution toward the next distinct version of the enterprise platform. This Third Platform will support the next iteration of enterprise systems, which will be born out of multiple simultaneous and less obvious disruptive technology shifts. 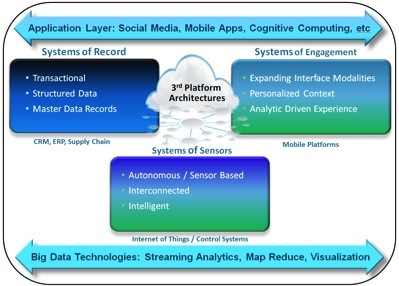 The emergence of the third generation of enterprise platforms is manifested at the crossroads of four distinct, almost simultaneous, disruptive technology shifts; cloud computing, mobile computing, big data-based analytics and the IoT. The use of applications based on these technologies, such as social media and business-driven insight systems, have contributed to both the convergence and rate of adoption. These technologies are dramatically changing how enterprise systems are architected, how customers interact with business, and the rate and pace of development and deployment across the enterprise. This is forcing vendors, businesses, and governments to shift their systems architectures to accommodate integrated services that leverage cloud infrastructure, while integrating mobile solutions and supporting the analysis of the vast amount of data being generated by mobile solutions and social media. All this is happening while maintaining the integrity of the evolving businesses capabilities, processes, and transactions that require integration with business systems such as Enterprise Resource Planning (ERP) and Customer Relationship Management (CRM). Cloud computing and the continued commoditization of computer storage are key facilitating elements of this convergence. Cloud computing lowers the complexity of enterprise computing through virtualization and automated infrastructure provisioning, while solid-state and software-based Internet storage has made big data practical and affordable. Cloud computing solutions continue to evolve and offer innovative services like Platform as a Service (PaaS)-based development environments that integrate directly with big data solutions. Higher density, cloud-based and solid-state storage continue to lower the cost and complexity of storage and big data solutions. The emergence of the smartphone and enterprise mobile computing is a key impetus for the emergence of big data solutions and an explosion of innovative storage technologies. The modern mobile platform, with all its rich applications, device sensors, and access to social networks, is almost single-handedly responsible for the explosion of data and the resulting rush to provide solutions to analyze and act on the insight contained in the vast ocean of personalized information. In turn, this phenomenon has created a big data market ecosystem based on the premise that open data is the new natural resource. The emergence of sensor-enabled smartphones has foreshadowed the potential value of making everyday devices interconnected and intelligent by adding network-based sensors that allow devices to enhance their performance by interacting with their environment, and through collaboration with other devices and enterprise systems in the IoT. For example, equipment manufacturers are using sensors to gain insight into the condition of fielded equipment. This approach reduces both the mean time to failure and pinpoints manufacturing quality issues and potential design flaws. This system of sensors also integrates with the manufacturer’s internal supply chain systems to identify needed parts, and optimizes the distribution process. In turn, the customer benefits by avoiding equipment downtime through scheduling maintenance before a part fails. Over time, the IoT will require an operating environment for devices that integrates with existing enterprise business systems. But this will require that smart devices effectively integrate with cloud-based enterprise business systems, the enterprise customer engagement systems, as well as the underlying big data infrastructure responsible for gleaning insight into the data this vast network of sensors will generate. While each of these disruptive technology shifts has evolved separately, they share a natural affinity for interaction, collaboration, and enterprise integration that can be used to optimize an enterprise’s business processes. Changes follow a rigorous governance process. Evolves quickly and according to the needs of the users. 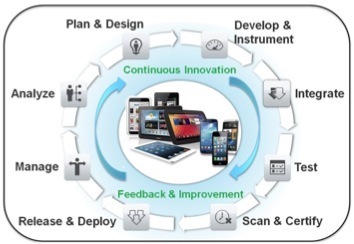 Updates to device firmware follow a continuous lifecycle. The Third Platform is a convergence of cloud computing, big data solutions, mobile systems and the IoT integrated into the existing enterprise business systems. The successful implementation and deployment of enterprise SoR has been embodied in best practices, methods, frameworks, and techniques that have been distilled into enterprise architecture. The same level of rigor and pattern-based best practices will be required to ensure the success of solutions based on Third Platform technologies. Enterprise architecture methods and models need to evolve to include guidance, governance, and design patterns for implementing business solutions that span the different classes of system. The Third Platform builds upon many of the concepts that originated with Service-Oriented Architecture (SOA) and dominated the closing stanza of the period dominated by the Second Platform technologies. The rise of the Third Platform provides the technology and environment to enable greater maturity of service integration within an enterprise. The Open Group Service Integration Maturity Model (OSIMM) standard provides a way in which an organization can assess its level of service integration maturity. Adoption of the Third Platform inherently addresses many of the attributes necessary to achieve the highest levels of service integration maturity defined by OSIMM. It will enable new types of application architecture that can support dynamically reconfigurable business and infrastructure services across a wide variety of devices (SoS), internal systems (SoR), and user engagement platforms (SoE). These new architectures and the underlying technologies will require adjustments to how organizations approach enterprise IT governance, to lower the barrier of entry necessary to implement and integrate the technologies. Current adoption requires extensive expertise to implement, integrate, deploy, and maintain the systems. First market movers have shown the rest of the industry the realm of the possible, and have reaped the rewards of the early adopter. The influence of cloud and mobile-based technologies has changed the way in which solutions will be developed, delivered, and maintained. SoE-based solutions interact directly with customers and business partners, which necessitates a continuous delivery of content and function to align with the enterprise business strategy. Most cloud-based services employ a roll-forward test and delivery model. A roll-forward model allows an organization to address functional inadequacies and defects in almost real-time, with minimal service interruptions. The integration and automation of development and deployment tools and processes reduces the risk of human error and increases visibility into quality. In many cases, end-users are not even aware of updates and patch deployments. This new approach to development and operations deployment and maintenance is referred to as DevOps – which combines development and operations tools, governance, and techniques into a single tool set and management practice. This allows the business to dictate, not only the requirements, but also the rate and pace of change aligned to the needs of the enterprise. Optimization of the DevOps process through continuous feedback and metrics. In contrast to SoE, SoR have a slower velocity of delivery. Such systems are typically released on fixed, pre-planned release schedules. Their inherent stability of features and capabilities necessitates a more structured and formal development approach, which traditionally equates to fewer releases over time. Furthermore, the impact changes to SoR have on core business functionality limits the magnitude and rate of change an organization is able to tolerate. But the emergence of the Third Platform will continue to put pressure on these core business systems to become more agile and flexible in order to adapt to the magnitude of events and information generated by mobile computing and the IoT. As the technologies of the Third Platform coalesce, organizations will need to adopt hybrid development and delivery models based on agile DevOps techniques that are tuned appropriately to the class of system (SoR, SoS or SoS) and aligned with an acceptable rate of change. DevOps is a key attribute of the Third Platform that will shift the fundamental management structure of the IT department. The Third Platform will usher in an era where one monolithic IT department is no longer necessary or even feasible. The line between business function and IT delivery will be imperceptible as this new platform evolves. The lines of business will become intertwined with the enterprise IT functions, ultimately leading to the IT department and business capability becoming synonymous. The recent emergence of the Enterprise Market Management organizations is an example where the marketing capabilities and the IT delivery systems are managed by a single executive – the Enterprise Marketing Officer. The emergence of a new enterprise computing platform will usher in opportunity and challenge for businesses and governments that have invested in the previous generation of computing platforms. Organizations will be required to invest in both expertise and technologies to adopt the Third Platform. Vendors are already offering cloud-based Platform as a Service (PaaS) solutions that will provide integrated support for developing applications across the three evolving classes of systems – SoS, SoR, and SoE. These new development platforms will continue to evolve and give rise to new application architectures that were unfathomable just a few years ago. The emergence of the Third Platform is sure to spawn an entirely new class of dynamically reconfigurable intelligent applications and devices where applications reprogram their behavior based on the dynamics of their environment. Almost certainly this shift will result in infrastructure and analytical capacity that will facilitate the emergence of cognitive computing which, in turn, will automate the very process of deep analysis and, ultimately, evolve the enterprise platform into the next generation of computing. This shift will require new approaches, standards and techniques for ensuring the integrity of an organization’s business architecture, enterprise architecture and IT systems architectures. To effectively embrace the Third Platform, organizations will need to ensure that they have the capability to deliver boundaryless systems though integrated services that are comprised of components that span the three classes of systems. This is where communities like The Open Group can help to document architectural patterns that support agile DevOps principles and tooling as the Third Platform evolves. Technical standardization of the Third Platform has only just begun; for example, standardization of the cloud infrastructure has only recently crystalized around OpenStack. Mobile computing platform standardization remains fragmented across many vendor offerings even with the support of rigid developer ecosystems and open sourced runtime environments. The standardization and enterprise support for SoS is still nascent but underway within groups like the Allseen Alliance and with the Open Group’s QLM workgroup. The rate and pace of innovation, standardization, and adoption of Third Platform technologies is astonishing but needs the guidance and input from the practitioner community. It is incumbent upon industry communities like the Open Group to address the gaps between traditional Enterprise Architecture and an approach that scales to the Internet timescales being imposed by the adoption of the Third Platform. The question is not whether Third Platform technologies will dominate the IT landscape, but rather how quickly this pivot will occur. Along the way, the industry must apply the open standards processes to ensure against the fragmentation into multiple incompatible technology platforms. The Open Group has launched a new forum to address these issues. The Open Group Open Platform 3.0™ Forum is intended to provide a vendor-neutral environment where members share knowledge and collaborate to develop standards and best practices necessary to help guide the evolution of Third Platform technologies and solutions. The Open Platform 3.0 Forum will provide a place where organizations can help illuminate their challenges in adopting Third Platform technologies. The Open Platform 3.0 Forum will help coordinate standards activities that span existing Open Group Forums and ensure a coordinated approach to Third Platform standardization and development of best practices. Innovation itself is not enough to ensure the value and viability of the emerging platform. The Open Group can play a unique role through its focus on Boundaryless Information Flow™ to facilitate the creation of best practices and integration techniques across the layers of the platform architecture. Andras Szakal, VP and CTO, IBM U.S. Federal, is responsible for IBM’s industry solution technology strategy in support of the U.S. Federal customer. Andras was appointed IBM Distinguished Engineer and Director of IBM’s Federal Software Architecture team in 2005. He is an Open Group Distinguished Certified IT Architect, IBM Certified SOA Solution Designer and a Certified Secure Software Lifecycle Professional (CSSLP). Andras holds undergraduate degrees in Biology and Computer Science and a Masters Degree in Computer Science from James Madison University. He has been a driving force behind IBM’s adoption of government IT standards as a member of the IBM Software Group Government Standards Strategy Team and the IBM Corporate Security Executive Board focused on secure development and cybersecurity. 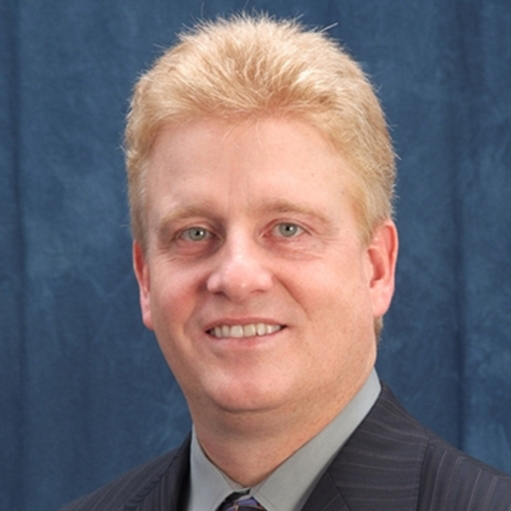 Andras represents the IBM Software Group on the Board of Directors of The Open Group and currently holds the Chair of The Open Group Certified Architect (Open CA) Work Group. More recently, he was appointed chair of The Open Group Trusted Technology Forum and leads the development of The Open Trusted Technology Provider Framework.